One of the foremost considerations for all trucking fleet operators is the safety of their drivers and vehicles. And so ensuring that their drivers have access to the best-performing vehicle components is priority number one. 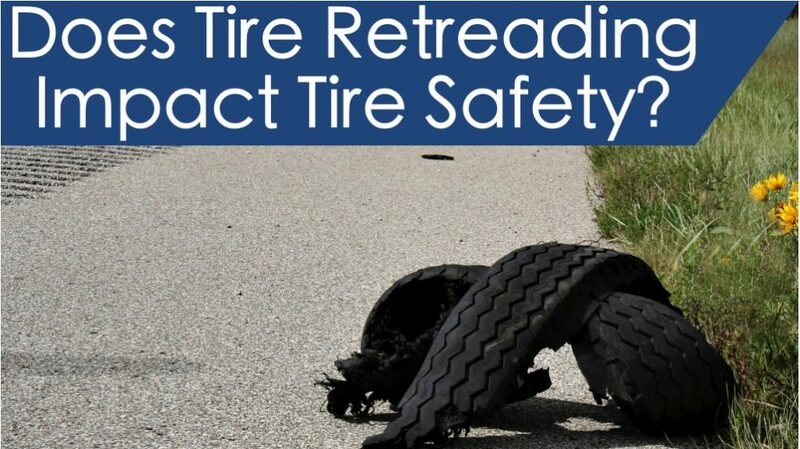 Within this latest post, we’ll explain a little more about the value of tire retreading and explore whether the tire retreading process impacts tire safety. These elements are the leading considerations when reviewing tire performance. Studies have shown that retread tires perform just as well as new tires in terms of road use. And there are now strict policies in place to ensure that retread tires are certified for optimal safe performance after they’ve gone through the tire retreading process. This ensures that you’ll receive a high-value product when you invest in retread tires over the coming months. Retread tires have a lower cost per mile than new tires and can be purchased for a much lower initial investment price. Because of their strong performance, retread tires are suitable for a range of road conditions and fleet applications, further helping improve the return on investment in the latest tire products. Our experienced team helps fleet operators get the highest value from their retread tires. To discover more about tire retreading and the benefits of retread products, give our team a call today.